Michael Stasssinopoulos was born in Kalamata in 1903. He studied law at Athens University and was awarded a Ph.D in Law in 1934. In 1937 he was appointed as an Associate Professor of Administrative Law at Athens University and in 1943 he was appointed as a Professor at the Panteion School of Political and Social Sciences, where he served as rector from 1951 to 1958. From 1951 to 1953 he served as President of the National Broadcasting Corporation. In 1952 he served as caretaker Minister to the Prime Minister’s Office and Labour Minister in Kiousopoulos’ Government and in 1958 he was Minister for the Presidency in Georgakopoulos’ Government. In 1929 he was accepted into the Council of State, having come first in the entrance examination, and served as President of the same body between 1966 and 1969. Michael Stassinopoulos was a prolific writer. His literary work first appeared in the magazine “The Muse” (1920-1923). He published many scholarly articles and literary works, as well as translations of French poetry and prose. In 1968 he was elected to the Athens Academy as a full member and in 1969 and 1970 he was put forward by the President of the French Council of State, René Cassin, as a candidate for the Nobel Peace Prize. In the parliamentary elections of 1974 Michael Stassinopoulos became a Member of Parliament for the State with the New Democracy Party. 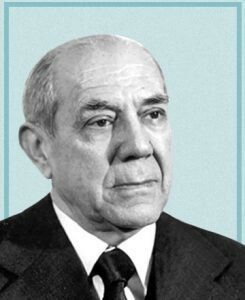 When the referendum of 8 December 1974 established Greece as a Republic, Michael Stassinopoulos was elected as interim President of the Republic by a majority in parliament. He served as Head of State from 18 December 1974 until 20 June 1975, that is, until the final shaping of the new regime by the revisionary assembly. Michael Stassinopoulos died on 31 October 2002.